d. Log in using your personal username and password. d. Click “Forgot password?” in order to recover your password. A password recovery email will be sent to the email address stored in the system. e. After signing in to Teacher Portal click on the “User Icon” at the top right corner of the screen. Click “My Account” in order to update personal information or change your password. 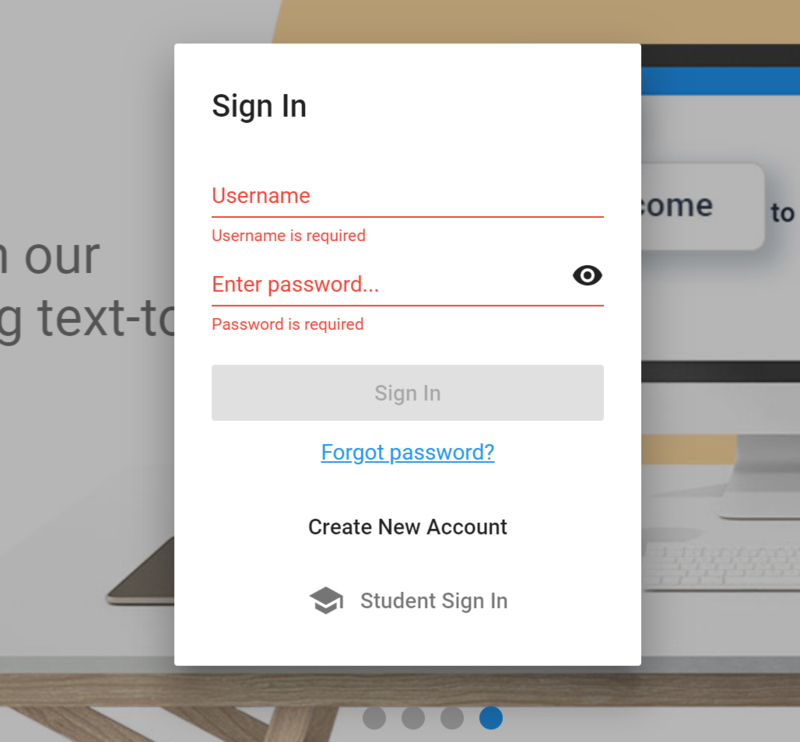 f. Click “Sign Out” in order to sign out from the Teacher Portal. a. 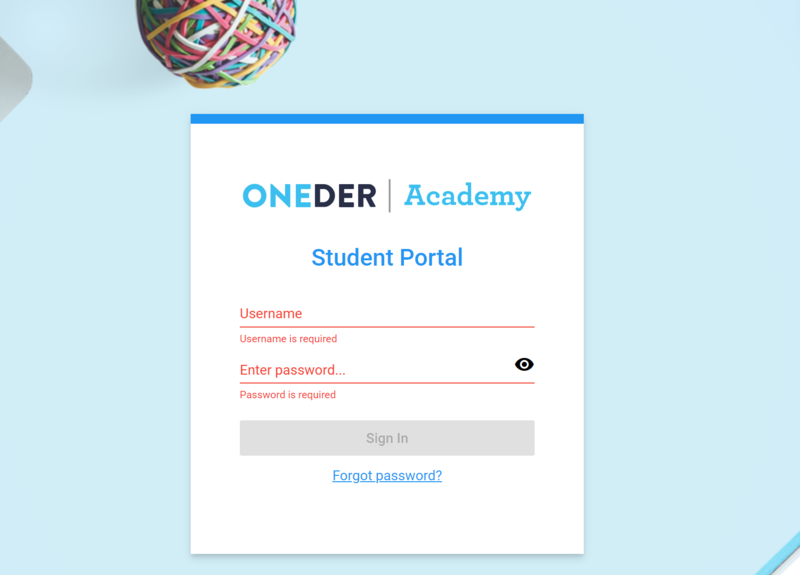 Request the students navigate to https://academy.oneder.com/student/. b. Advise each student log in using their personal username and password. c. You may need to provide 1:1 assistance if students need to recover their passwords. d. Students should click “Sign Out” in order to sign out from the Student Portal. b. Select the student you would like to assign the course to. e. Note: Courses can be unassigned by clicking the “Unassign” button. Once the course is unassigned, the license for that course will be returned to the licences pool. “Unassign” button will be available only if the student did not start the course. Assignments that can serve as great feedback opportunities. a. Click “My Students” and select one of the students on the “My Students” list. I. View Pre- and Post-Assessments grades. II. View detailed student’s progress in the course. 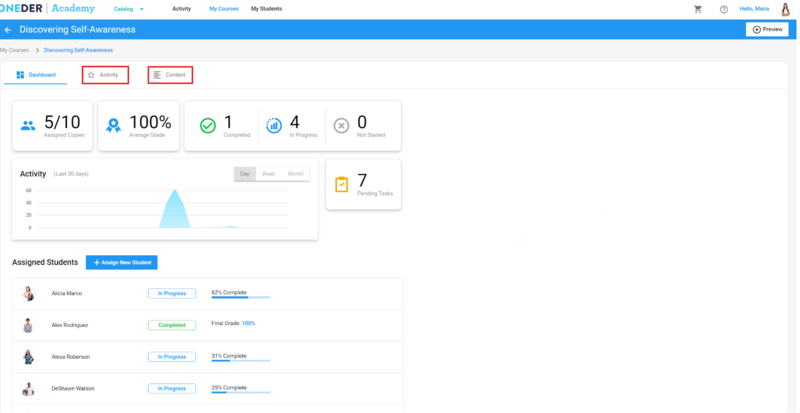 c. In “Dashboard” tab you will be able to get a high level view of your students progress. d. By clicking on the “Activity” tab you will be able to browse through the students’ recent activities and tasks awaiting grading and feedback. a. Click “My Courses” and select one of the courses. b. 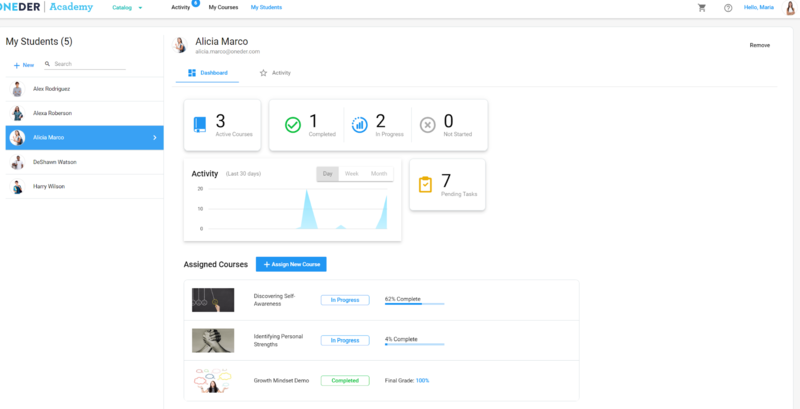 In the “Dashboard” you will see the progress of each student in the course. c. By clicking on the “Activity” tab you will be able to browse through the students’ recent activities and and tasks awaiting grading and feedback . 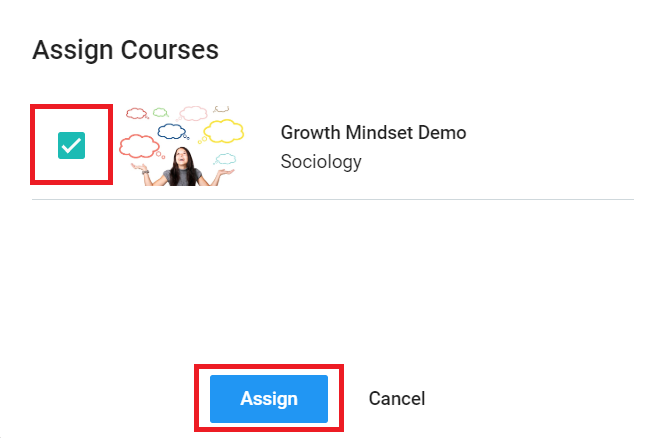 d. By clicking on the “Content” tab you will be able to review course content and attachments such as the Teacher Guideline and Student Workbook. a. Guide the students to click on the course in order to start it. b. 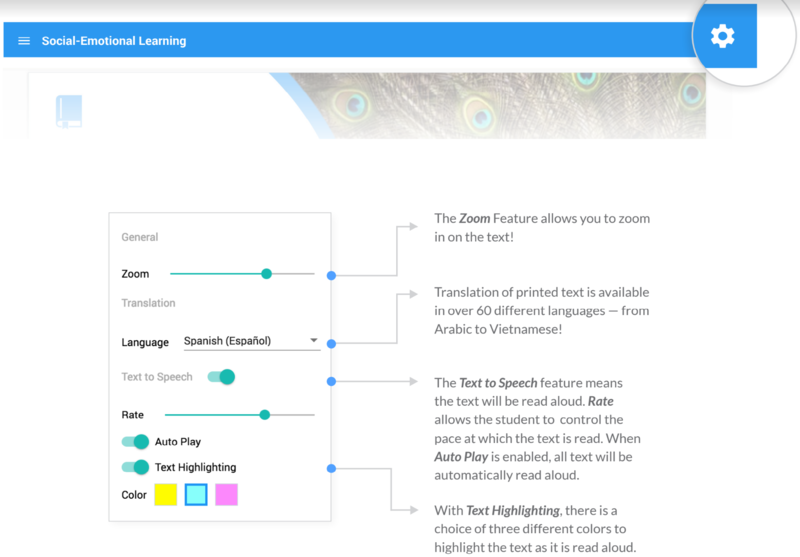 Students can track their own learning path, determine what activities they need to complete and view grades and feedback from their teacher in real time. a. Email support@oneder.com for technical assistance or call 646-278-9959 ext. 3. © Copyright ONEder | Support Center.